James Fallows recently highlighted a new survey from the Lowy Institute detailing its first China Poll. 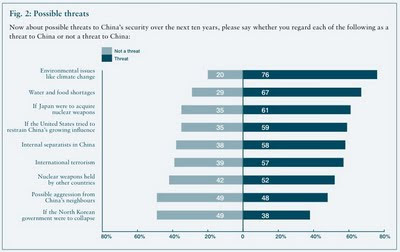 I think the sentiments above offer some telling insights on China (and, by contrast, the U.S.). Visit the Lowly Institute site to download a PDF of the entire study.